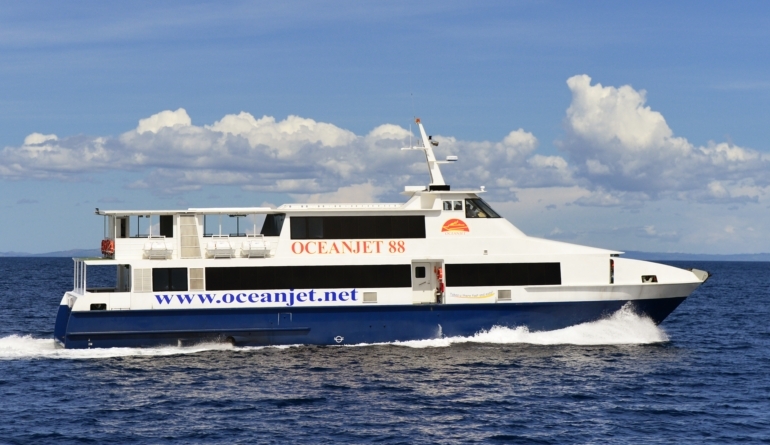 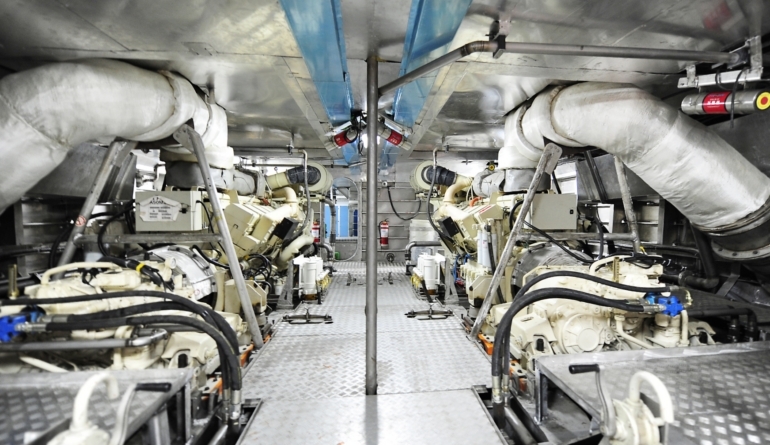 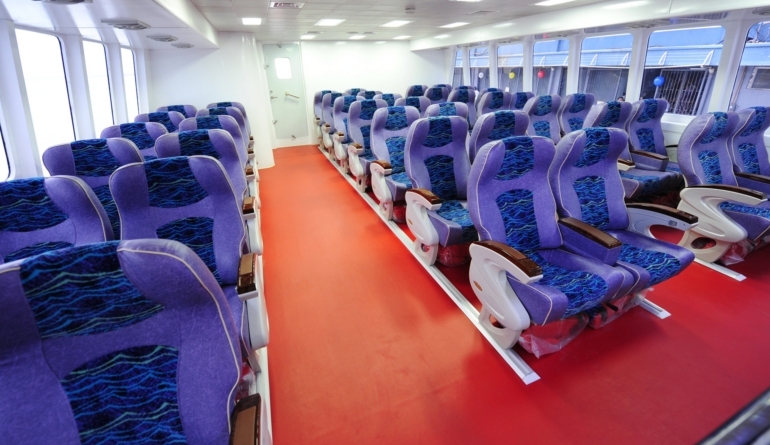 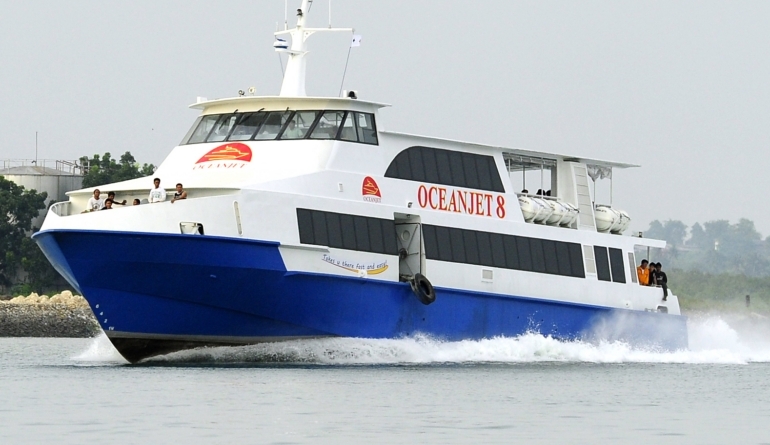 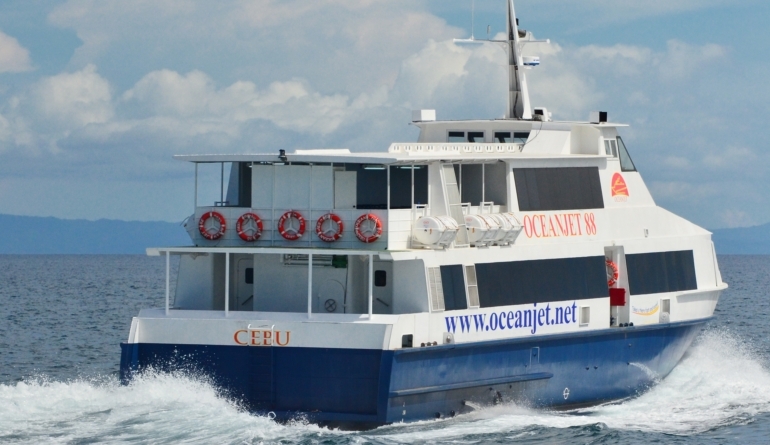 In 2005 we were commissioned by Ocean Fast Ferries of the Philippines to design them a new heavy duty ferry after they evaluated their needs and reviewed our vessel the “Sea Flyte”. 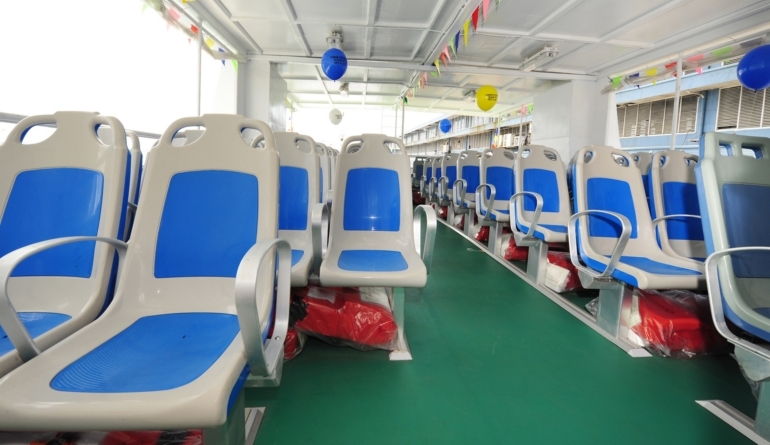 Launched in September 2011, this exceptional compact people mover has lived up to all expectations with a top speed of 29 knots and an excellent ride with good sea handling characteristics. 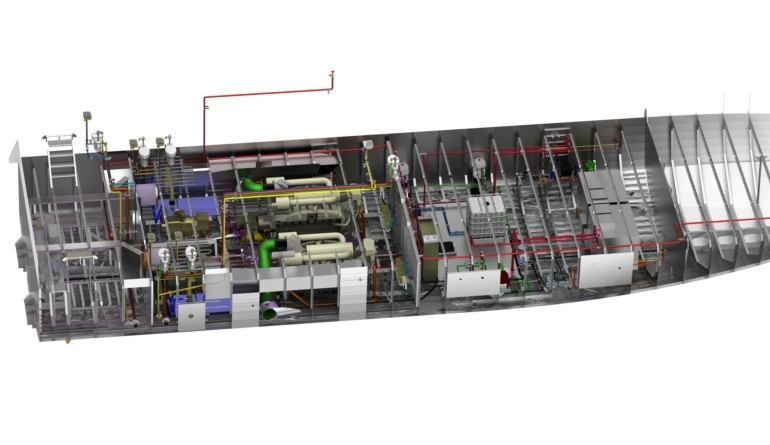 The vessel kit has been progressively refined with help of the very hands-on owner and the fifth and sixth vessel in the series are now under construction. 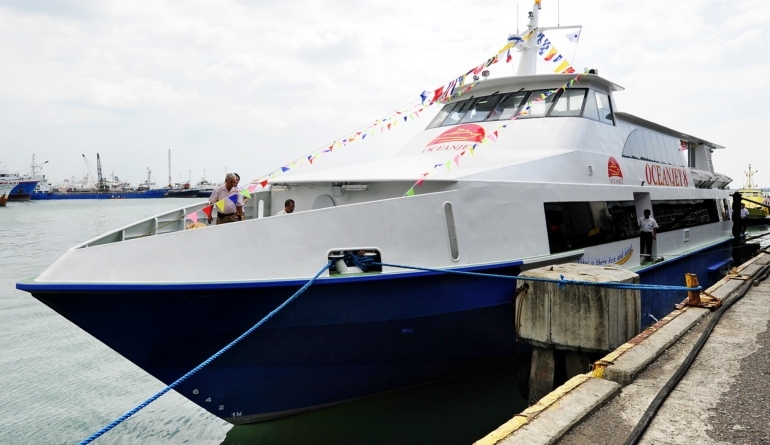 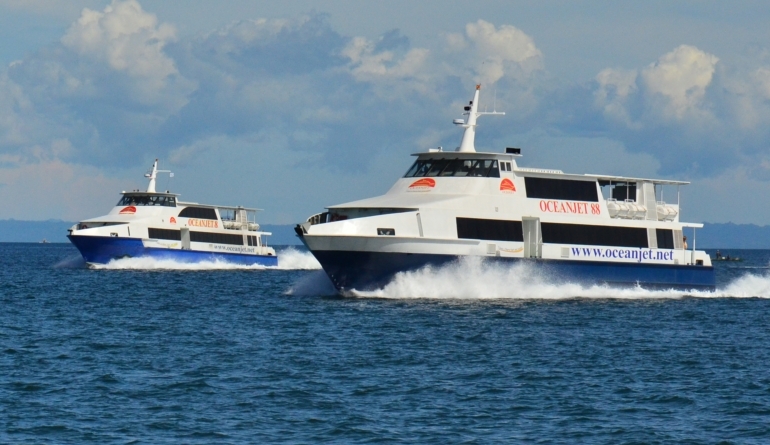 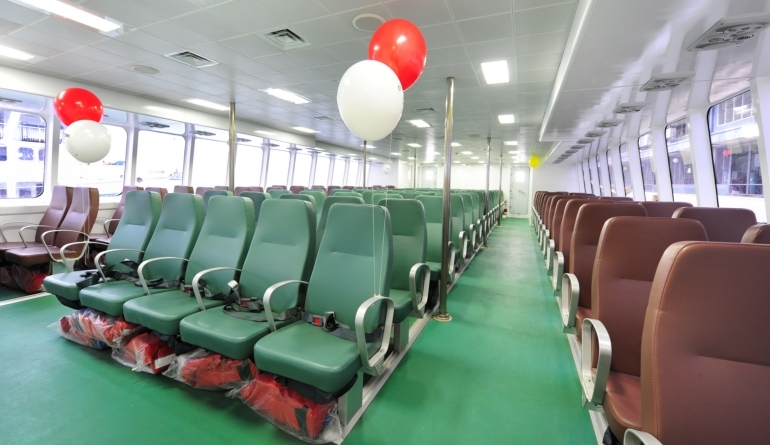 These new ferries will join the existing fleet and operate a 24/7 service in and out of Cebu, Southern Philippines. 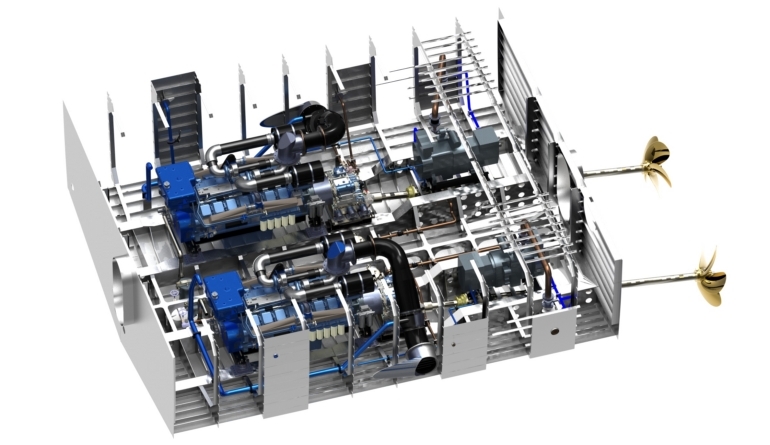 This kit package came complete with a full 3D engineering design package which can be seen in the images below. 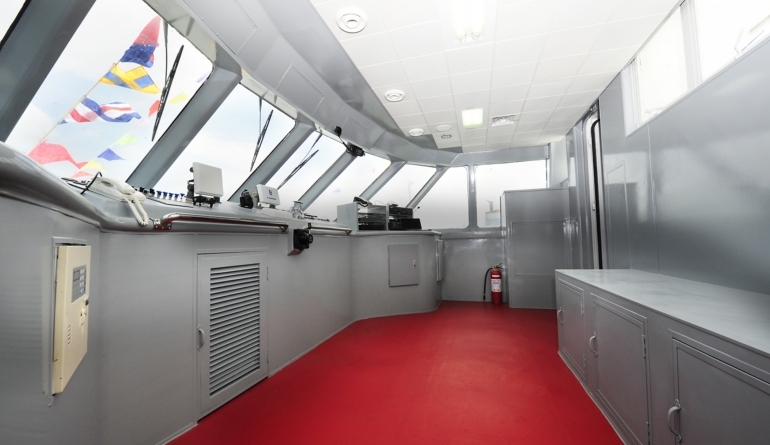 This approach minimises clashes during construction and ensures that the equipment packaging is optimal.